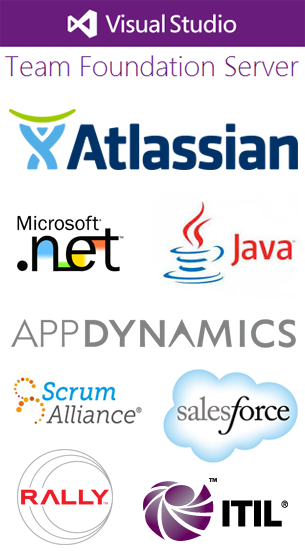 We are experts in managing all phases of the Application Lifecycle, as well as in modern methodologies. Whether you are new to the Agile framework, or you are not fully leveraging it, we can help you establish a process whereby each team can understand how to perform better and deliver quality software within reasonable timeframes. Moreover, we will help you mitigate risks and identify vulnerabilities that may have been overlooked. Be confident for production launch. We can help you monitor your applications, your environments and the technology infrastructure that supports them, so that your staff can be productive instead of constantly living in fire-fighting mode. Whether your organization is fully agile, in transition, or contemplating where to even begin, let us help. In addition to real-life experience, we carry the following certifications: Certified Scrum Professional (CSP), Certified Scrum Master (CSM), and Certified Product Owner (CSPO). Without a continuous integration process, your applications are destined to need constant patches and configuration changes. Let us make sense of your integration points, and create a strategy for streamlining and automating the build, packaging and release processes. We understand that pockets of your organization may not be ready for change; we will help you navigate the roadblocks of embarking on a new path. We have worked with organizations that have implemented formal methodologies such as CMMI, ITIL, from ISO, as well as homegrown frameworks. If you work in a regulated industry, we will ensure that your processes are in compliance with the appropriate regulatory bodies. The holy grail of continuous delivery is possible, and we will help you achieve that, as we have done for past customers. What would you do if you could redeem at least one of your work day every day? We are efficiency fanatics, and will help you streamline, automate or altogether remove the impediments that fritter away your valuable time. Our clients have achieved excellent outcomes from our unique approach to release management. Traceability and transparency are the hallmark of our unique process. We help you secure, configure, and administer your SFDC instance.